Dr. Ifthikar Mohamed Israr Mohamed has been working as a General Practitioner for past 5 years in India and the UAE. 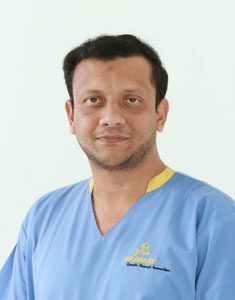 He is currently working with Thumbay Dental Hospital, Al Jurf Ajman. HOSPITAL, COIMBATORE. TAMIL NADU, INDIA. Teeth Whitening with Advanced systems like ZOOM.